When it comes to the simpler way to combine clips to form a movie with titles, background music, transitions, and effects, Windows Movie Maker has been a top choice of video editors. With tools like voice over recording and even anti-shake has entered into the software which made it a very useful editor. However, it still lacks a large number of effects and tools in comparison to other best video editing software. You can also stop and start playback with the space bar. It also provides three control buttons, play/pause, step back and forward one frame. The major attractive feature of Movie Maker is that most of the transitions, effects, and themes automatically preview when you just hover your mouse cursor over their buttons. The best way to create a digital movie by this software is to add all of your clips to the timeline and select one theme out of seven different AutoMovie Themes. While it’s not that extensive like other competing software’s set of options but they are quite simple in taste. These are presented as thumbnails in the center of Home ribbon. They also add an intro title screen, transitions, and credits to the production too. 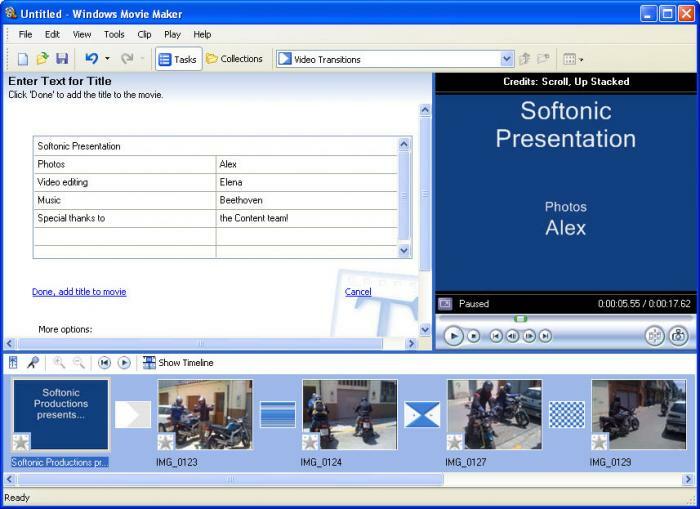 The most basic video editing tasks such as splitting, trimming are available from the last menu-Edit- and they can also snap into view if you double click a clip on your timeline. Well, if you are looking for basic editing features and quickest way to make amateur movies then you can certainly go for Windows Movie Maker. But in case, you need better editing tools, more effects, and transitions, then we would suggest that you find a better alternative as Movie Maker has limited capabilities. You can check other software mentioned in this post. With this, we end our review of Windows Movie Maker. Go ahead and try out this video editing software. Don’t forget to mention your experience in the comment section below. Windows Movie Maker is no longer with Microsoft Essentials as they claim. It does show it when you go to uninstall essentials but when installed it does NOT give you a shortcut to start the program. It may be in a hidden folder somewhere deep in drive see but Microsoft does not make it easy to find it. There is another program that is useless and that is videowin movie maker, this program is fine with short videos but will not work with large files over one gig or more. So if you want to use Microsoft’s Movie maker you will have to find an alternative then downloading it Essentials package.